Brick often brings a classy, streamlined approach to a pathway or patio, giving any visitors easy access to move about in your living space. They provide standout shades of red in an area that might otherwise show only a little color, or they can be painted to align with the other designs and colors in the surrounding space. They are long-lasting and rarely cause any major issues on your land, leaving nothing but a smooth surface area that’s simple to trek across. Another popular choice for homeowners interested in stone patios & walkways is flagstone. This all-natural rock material is smooth and durable, bringing years worth of beautiful stonework to your property. Flagstones can be flattened into nice, patterned sections too, so they fit together nicely for a solid pathway or a lovely patio area with clean lines that appears authentic to the land. 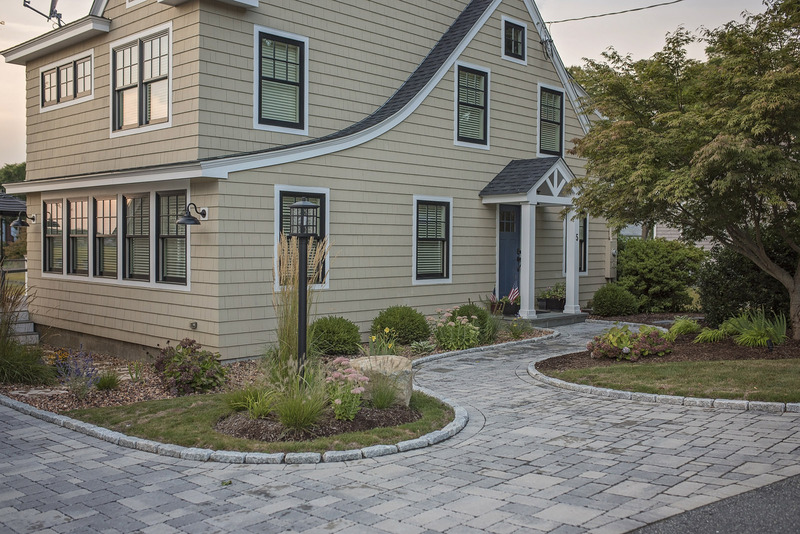 Give your home the look of a fairytale cottage with endearing cobblestones. These fun and easily adjustable stones look beautiful lined up as a centerpiece of any space, though their natural shapes can make your walkways more uneven and bumpy than the other options. Design your dream home by applying your own creative touch with stunning, all-natural stone patios & walkways. Any of these fine materials work seamlessly to bring enchanting style and decor to your exterior property, welcoming anyone to your home for a visit.